Next year, Karl Urban is headlining The Boys, Amazon Prime’s adaptation of Garth Ennis and Darick Robertson’s acclaimed comic book series. During a recent interview at New York Comic Con with Comic Book Resources, Urban revealed a major difference between the two. “At this stage, none of us, none of the Boys, have superpowers or are enhanced by Compound V,” said Urban. In the comic Compound V is a drug which grants powers to those who imbibe. Mixed with another drug like cocaine gives temporary powers. but the pure Compound grants abilities for life. While Urban said none of the Boys have powers he also let slip, “well, except for you…” This statement was directed at Karen Fukuhara who will play the Female on the series. In the comic, the Female appears docile and timid until it becomes necessary to rip off a face or destroy a body. The Female does both with ease. Whether she has this ability on her own or if the Female is the catalyst for Compound V is not yet known. The Boys took a look at fame through the lens of superheroes. Urban will play Billy Butcher, leader of the Boys. He’s not afraid to make the uncomfortable decision when necessary. Their version of the Justice League was known as the Seven, and they were the gold standard for heroes. Behind the cape is another story of addiction, perversion and various immoral deeds that would sully their public image. Butcher’s team answers the question, who watches the heroes. The Boys are a CIA created group to monitor all super beings. When someone gets out of line, they send in the Boys to straighten things out. 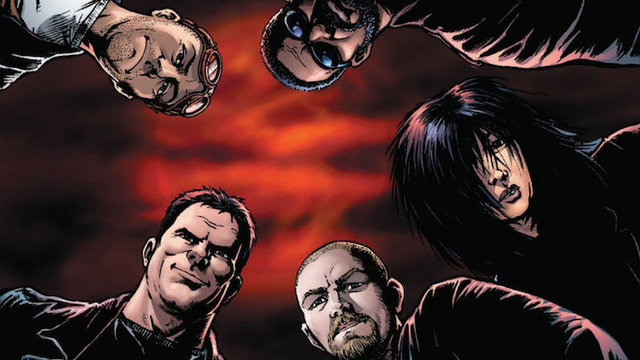 Seth Rogan and Evan Goldberg adapted The Boys for TV. Laz Alonso, Erin Moriarty, Antony Starr, Elisabeth Shue, Chace Crawford, Simon Pegg, and Jack Quaid will co-star in the series..
What do you think of this change to The Boys story? What are you looking forward to most in this upcoming series? Let us know in the comment section below.